Make-Ahead Breakfast Bowls are full of filling, hearty ingredients to power you through your morning. 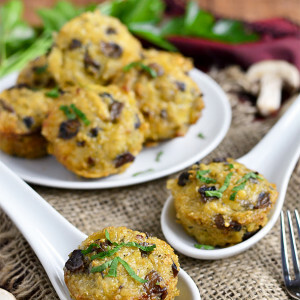 This vegetarian and gluten-free breakfast recipe is also freezer-friendly! Rise and shine, it’s breakfast time! A few weeks ago I mentioned I’ve been making a real effort to eat a proper breakfast each morning and it’s been working wonders for my energy levels. A filling meal with protein, fat, and carbohydrates first thing in the ay em completely sets the tone for a productive day, and if I skip breakfast it feels as though there’s a 10 pound weight on my head. Like a veil of fog is clouding my vision and my face weighs like, 100 pounds. Please tell me you can relate? Weird facial issues aside, let’s be honest, making breakfast a priority is incredibly difficult in the mornings. Inevitably the dishwasher needs to be emptied, Lincoln’s school snack needs packed and he of course needs a healthy breakfast, brewing coffee is a must, and finally it’s vitamins for all. Before long it’s time to load up the car and head out to school, or scoot up to my office for the day. All that to say, quick and easy breakfasts are the name of the game lately and these Breakfast Bowls are not only killing it in the delicious department, but they’re make ahead (reheat in ONE minute!) and freezer-friendly too. Have you ever heard the saying “eat breakfast like a king, lunch like a prince, and dinner like a pauper”? I’m digging it. Well, usually breakfast and dinner are both eaten like I’m the Queen of England, but to me a healthy breakfast makes a big difference in how my day goes. 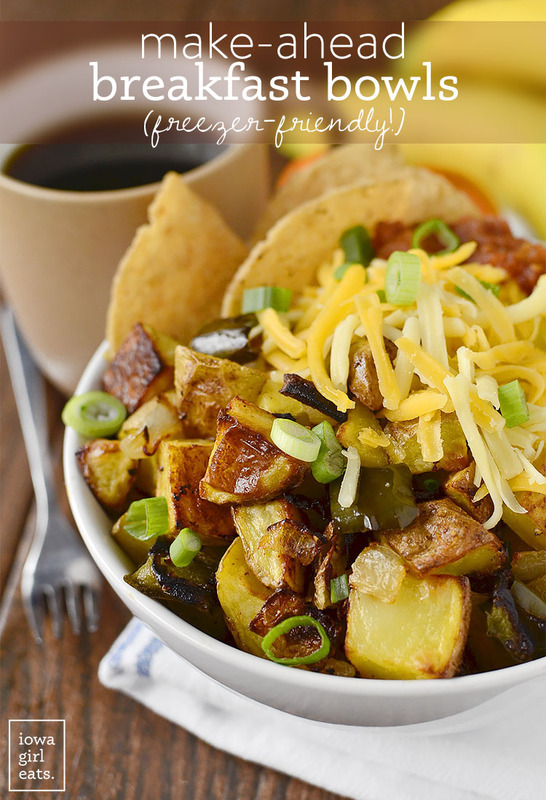 Make-Ahead Breakfast Bowls contain a hearty combination of homemade Potatoes o’ Brien (potatoes with green pepper and onion, y’all, which smell UNBELIEVABLE while roasting!) 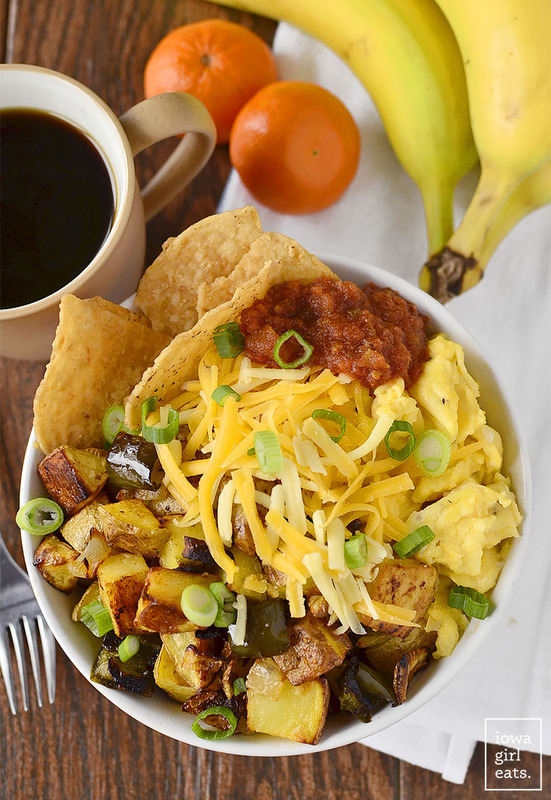 silky scrambled eggs, freshly shredded cheese, and spicy green onions which are complimented by my favorite egg pairing – tortilla chips and salsa – then served up hot and fresh, or divvied up into individual sized containers to store in the refrigerator or freezer to grab, reheat, and go, all week long. I’ve been making a batch of Breakfast Bowls on Sundays then reheating in the microwave during crazy weekday mornings. 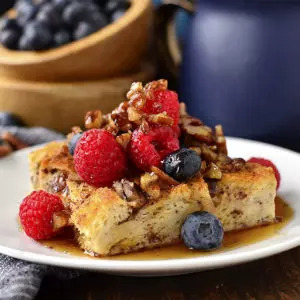 They’re super filling and, while I do adore a breakfast of berries, a banana, and homemade walnut butter, I’ll hardly ever turn down something hot and hearty – especially in this weather! 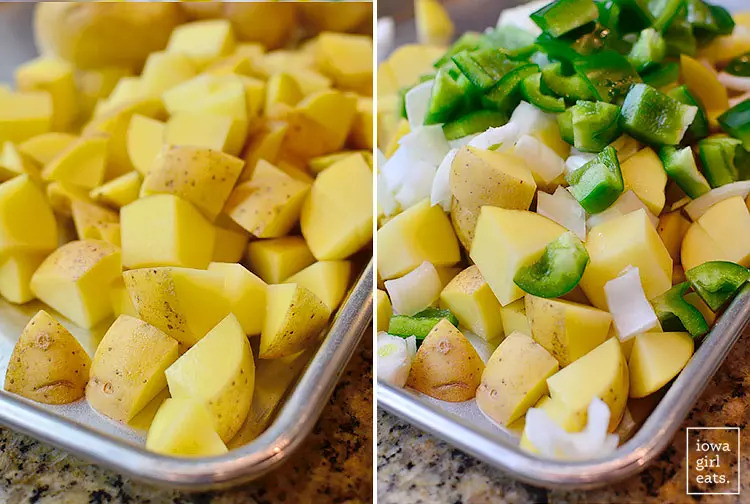 Start by chopping 2lb Yukon Gold potatoes, 1 green bell pepper, and 1 large onion into 1″ cubes then adding them to a large sheet pan. Drizzle the vegetables with extra virgin olive oil then sprinkle on a generous amount of homemade seasoned salt, and pepper. Toss with your hands to evenly coat the vegetables, then transfer half to another sheet pan. This ensures that there’s enough room for the vegetables to roast and get nice and caramelized vs steaming from being crammed together on one sheet pan. 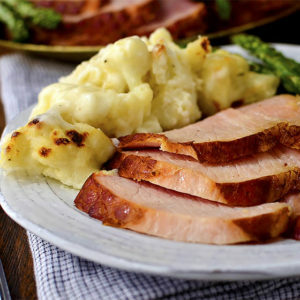 Roast both pans for 30-40 minutes, or until the potatoes are golden brown and tender, stirring the vegetables and rotating the pans halfway through. Psst: If you’re lining your pan with foil, be sure to spray them with nonstick spray first – it really makes a difference! Meanwhile, whisk 12 large eggs with salt and pepper in a large bowl. 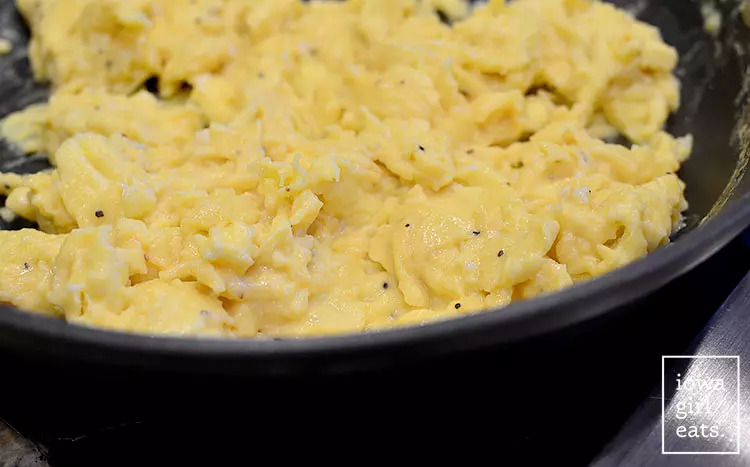 Spray a large skillet over medium heat with nonstick spray then add the eggs and scramble until they’re barely cooked through – they should still be a little silky and glossy. Last stop – assembly! 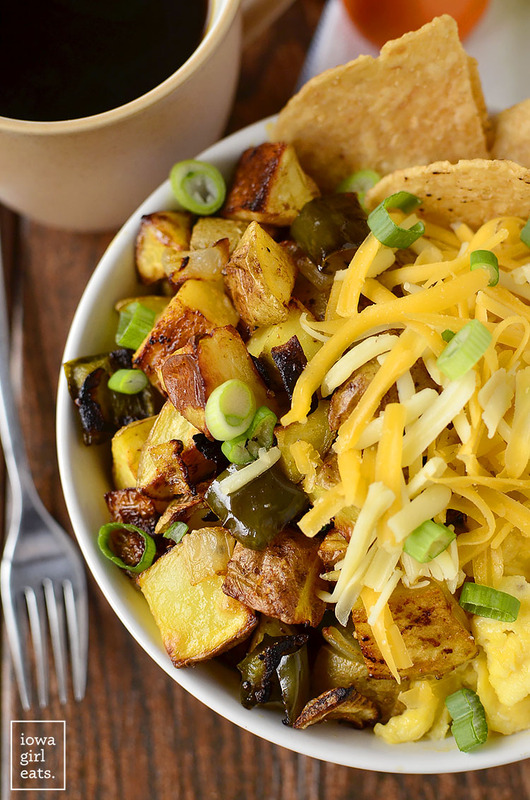 Pile the potatoes and eggs into bowls then top with freshly shredded cheese and chopped green onions. 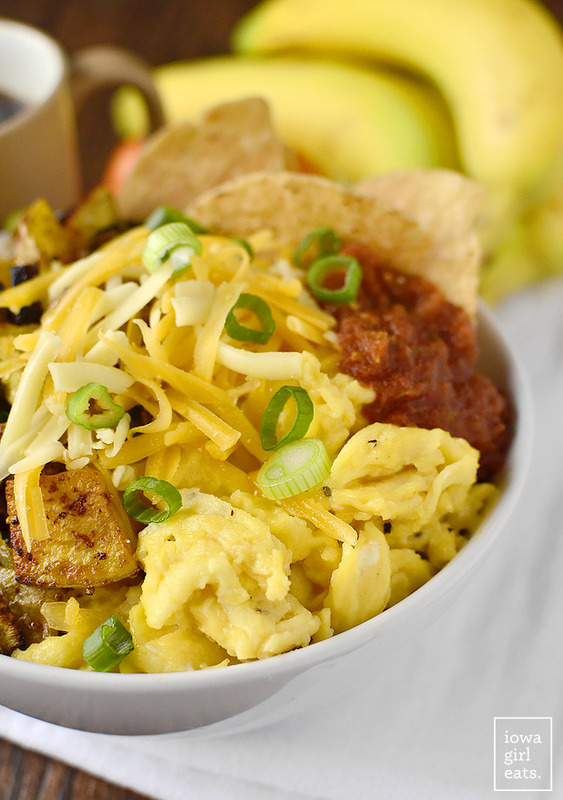 Like I said, I love eggs with tortilla chips and salsa, so I tucked those into my breakfast bowls before eating too. A diced avocado or guacamole would be Heavenly as well! Make-Ahead Breakfast Bowls are full of filling, hearty ingredients to power you through your morning. 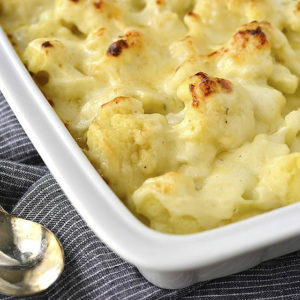 This vegetarian and gluten-free recipe is also freezer-friendly! Preheat oven to 425 degrees. Add potatoes, peppers, and onions to a large sheet pan then drizzle with extra virgin olive oil, homemade seasoned salt, and pepper and then toss until evenly coated. 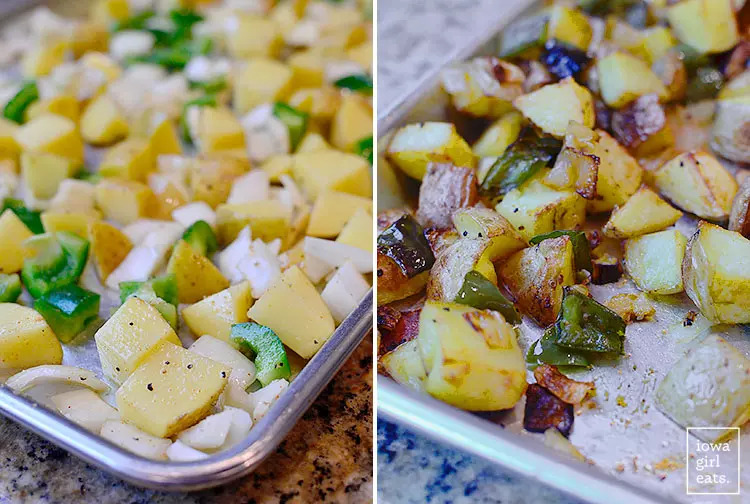 Transfer half the vegetables to a second sheet pan then roast both pans for 30-40 minutes, or until potatoes are golden brown and tender, stirring and rotating pans halfway through. 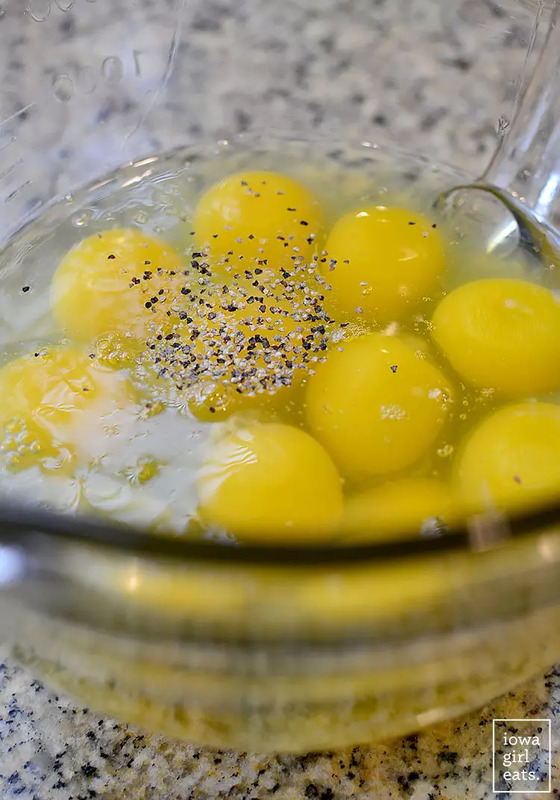 Meanwhile, crack eggs into a large bowl then season with salt and pepper and whisk until smooth. Heat a large skillet over medium heat then spray with nonstick spray and add eggs. Scramble until the eggs are just barely cooked through and still slightly glossy then scoop onto a plate and set aside. Divide the potatoes and eggs evenly between the containers then set aside to cool. Once cool, sprinkle with cheese and green onions then cover and refrigerate. 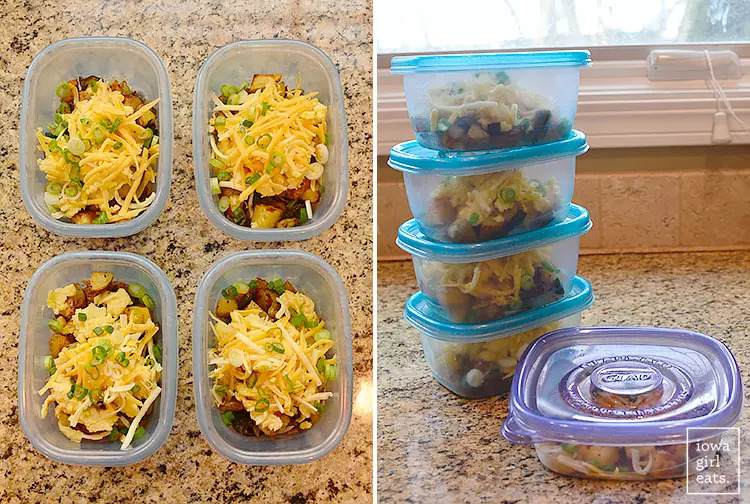 Freeze any portions that aren’t eaten within three days. To reheat from frozen: microwave at 50% power for 1-1/2 minutes then stir and continue microwaving until food is reheated, stirring between intervals. 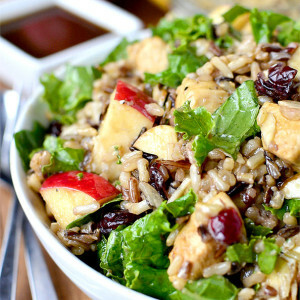 Top with optional toppings then serve. Now, the beauty of these make-ahead breakfast bowls is that they’re perfect to keep in the fridge and freezer for quick and hearty breakfasts all week long. All you’ll need to do is divide the eggs and potatoes between six freezer-friendly containers then allow them to cool slightly. Top with shredded cheese and green onions then snap a lid on top. Store in the fridge for up to three days, or stash in the freezer for 1-2 months. To reheat from the freezer, microwave the bowls on 50% power for 1-1/2 minutes, stir, and then microwave on full power until heated through, stirring every 30 seconds or so. Whether you eat these Make-Ahead Breakfast Bowls right away, or reheat each morning, enjoy hours of energy ahead! I feel you on the a.m. brain fog if I don’t start the day with a good breakfast! Breakfast bowls would be such a treat to have on busy weekdays! These are going on my to-do list for next weekend. I start my work day early, so breakfast comes to me with work and gets eaten at my desk. 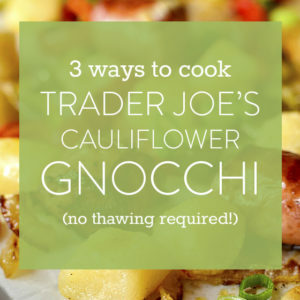 So this is perfect for me – I can make a big batch on Sunday and have healthy, clean, vegetarian meals each day! I’ve made sandwiches and burritos to freeze before but never a bowl! Such a great idea! I’ve made these bowls for my husband but haven’t included the green peppers. He is a meat eater so I do add spicy sausage. 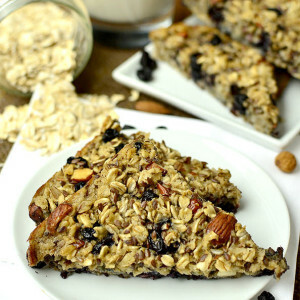 It is a great grab and go breakfast for those Fridays when he has to be at work by 5:00! I start my day at 4 a.m. so I hear you on the brain fog and feeling rushed in the morning. I usually have breakfast prepped ahead of time to make things less rushed. I haven’t made bowls though. I will need try this! Come to mama, indeed!! 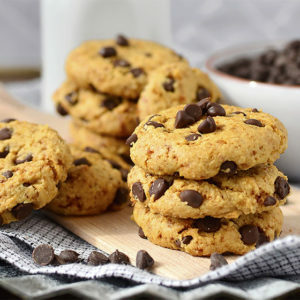 These look amazing dear! As you know, Alex won’t eat breakfast unless I make it for him, and I will definitely be making these since they are freezer friendly. Pinning! Thank you thank you thank you! My acupuncturist advised making breakfast my biggest meal of the day too. 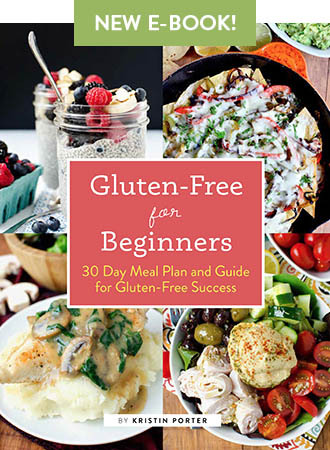 But as a long-time drinker of smoothies for breakfast and not much time to prepare a hot dish each morning, I’ve been coming up short on what to make that’s also gluten-free. Problem solved! 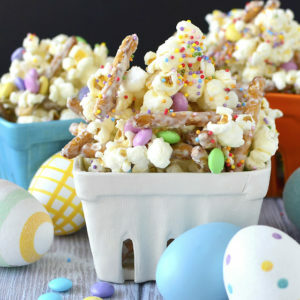 Those look amazing! I love the food bowl trend. Great idea! Love these. I agree a hearty breakfast helps me control my hunger throughout the rest of the day. Oh man oh man! 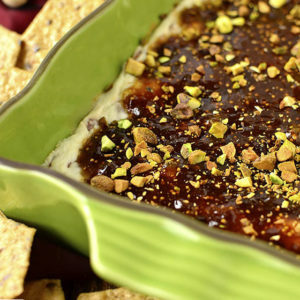 This is smart and delish! What vitamins are you feeding Lincoln? Yum!! I love making breakfasts to have on hand for the week!! Having an option to freeze is awesome. Love this idea! 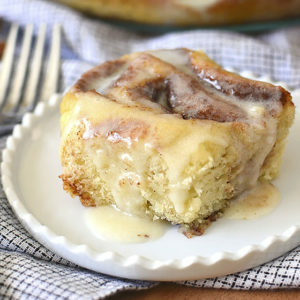 I have been looking for some breakfast ideas that I can make ahead of time for my man. So he doesnt go to McDonalds in the morning! (Gross) Just wondering how long these last for in the fridge without loosing their freshness? I keep them in the fridge for three days before moving any leftovers into the freezer. I’ve been trying my hand at egg cups lately with a variety of ingredients – cheese, spinach, mushrooms, sausage, etc. I’ve been interested in putting oatmeal cups together as another quick and healthy breakfast. I think these breakfast bowls just snuck in before those cups now! Oh wow! These are awesome! I can’t wait to try them! I could eat that every day and not get sick of it! Thanks for the freezing tips and recipe! I make a batch of breakfast burritos to keep in the freezer for rushed mornings but why have I not thought of this? 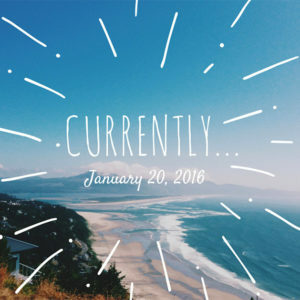 Definitely on my list of things to do to be a bit more organized. 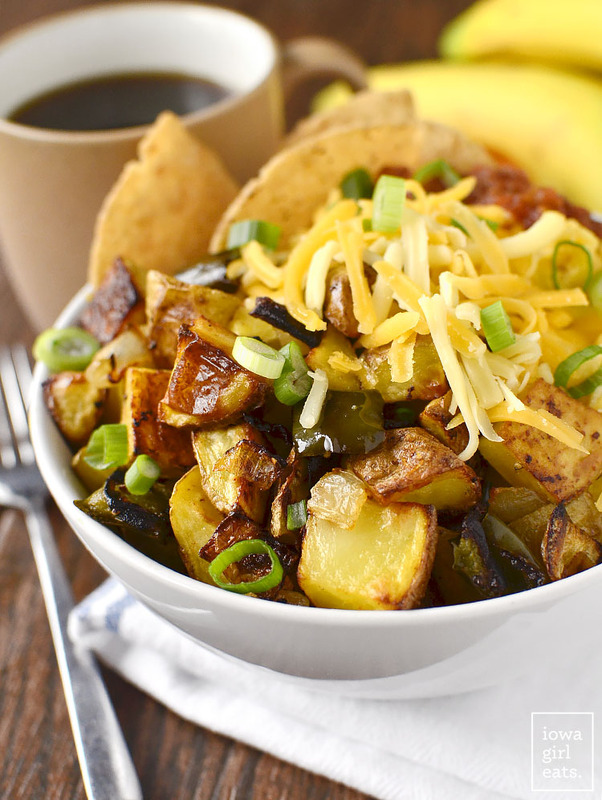 Maybe some smokey poblanos in place of the green peppers… yum! I thought you said never to freeze green onions? Hey Kelly! I’m not sure I’ve ever said that – green onion is just fine to freeze! Ate my first one today, topped with my chipotle salsa, and it was delish! 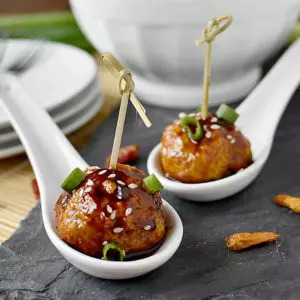 Simple, quick & Paleo – win win! Thank you! These look great! Do you think subbing tofu for the eggs would work? 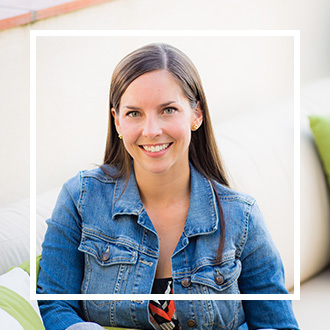 Do you know how to figure for weight watcher points? Do you have the nutrition info? Hey Kristin! Your new 7 day healthy eating meal plan brought me here :) Just a quick question, about what size containers did you use to freeze the food? 2-3 cup containers? Thanks so much! I believe these are the 3 cup containers! I’d been looking for a make ahead breakfast like this for a while that isn’t an egg casserole. I made these last weekend and froze them in 8 ounce squat canning jars. These were absolutely fantastic! They heat up extremely well, are very tasty and maintain their consistency, which is super important to me. The best part is they are very versatile. The next time I’m planning to try including veggies like broccoli and mushrooms. Thank you for an amazing recipe!